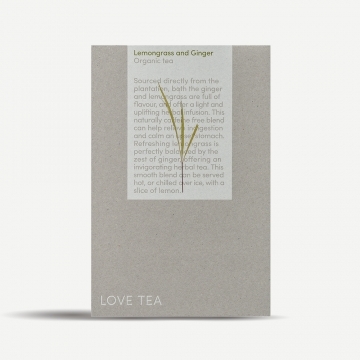 Lemongrass and ginger is a beautifully smooth andrefreshing blend that can be served hot, or chilled over ice, with a slice of lemon. 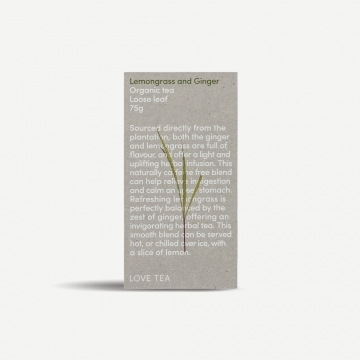 Sourced directly from the plantation, both the ginger and lemongrass are full of flavour, and offer a light and uplifting herbal infusion. 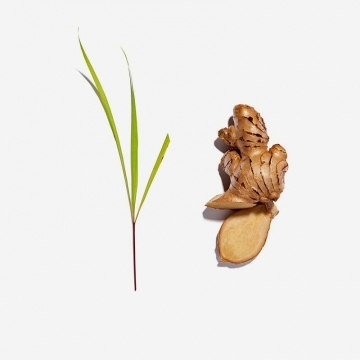 This naturally caffeine free blend can help relieve indigestion and calm an upset stomach. 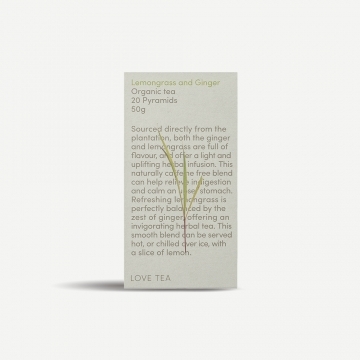 Refreshing lemongrass is perfectly balanced by the zest of ginger, offering an invigorating herbal tea. 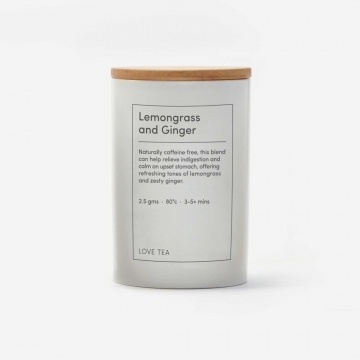 This smooth blend can be served hot, or chilled over ice, with a slice of lemon.